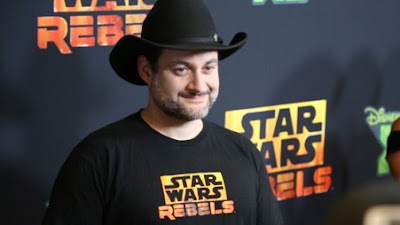 In 2013 Dave Filoni publicly announced the depressing news that Star Wars: The Clone Wars would be taken off our screens. The remaining relic of George Lucas’ Star Wars Empire was terminated in both brutal and swift fashion. At least this was the outlook adopted by many fans of the Clone Wars TV series. In the same year Disney made public that a new animated series would come into fruition. The concept for their new show was both similar and different to Lucas’ animated project. The fundamental differences were obvious. The new animated show would take place in a different time period, the story would focus on different characters and the tone of the show would be targeted towards a different audience demographic. This show was named Star Wars: Rebels. In this week’s Live from Lothal an impassionate debate was had concerning the influence of Clone Wars onto Rebels. The debate was stimulated by events which occurred in the recently released episode, The Last Battle. 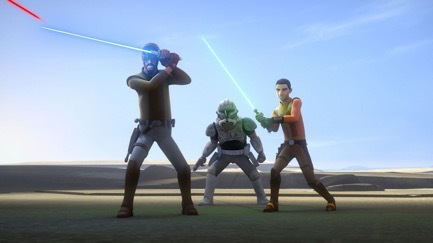 In spite of the fact Rebels is dated fifteen years ahead of the events of the Clone Wars, fans were treated to an iconic battle between two clone war veterans, in Rex and super tactical droid Kilani. In other words, a final ‘Clone Wars’ battle. From the outset the episode generated flashbacks of nostalgia from a chorus of clone wars fans. The final fully animated ‘Clone Wars’ episodes to air was two years ago on Netflix and clearly this episode struck a chord amongst fans who missed the show. Was the hype around last week’s episode overblown? And does the fact that people loved this particular episode of Rebels signify that the new animated series, as a show, is inherently weak and flawed? The phrase that has often been uttered to describe Rebels is "Clone Wars 2.0". In essence, this phrase means that the animated series serves as a follow up or sequel to The Clone Wars TV series. From a chronological timeframe outlook, this assessment can be a bit perplexing. Why revive story lines from an antiquated era, fifteen years prior? Particularly when character story lines such as Hondo Ohnaka, Ahsoka Tano, Captain Rex and Darth Maul have remained untouched in the immediate years after the Clone Wars. Moreover, other stories surrounding these characters have been disclosed to audiences through different mediums. Just look at the Son of Dathomir (2014) comic series and E.K. Johnston's recently released novel, Ashoka (2016). The stigma attached to Rebels is sometimes fair, but often unfounded. There are of course many elements from The Clone Wars which so far have featured in the new TV series. The inclusion of characters, settings and storylines from the former TV show stem from the top. Rebels Executive Producer Dave Filoni, writer Henry Gilroy and special effects animator Joel Aaron previously worked on The Clone Wars before switching to Rebels. These creators have ties to their former unfinished project. In contrast, Disney and Lucasfilm representatives want to push a new directive. They want to pull in a new audience, whilst making sure the episodes and storylines are produced in line with a TV show rather than a miniature movie, comparable to TV favourites Game of Thrones, House of Cards, Buffy the Vampire Slayer and the latest television blockbuster Westworld. How does one balance the interests of two very different factions within the creative team? It isn’t easy. To criticise the episode – The Last Battle – for catering to The Clone Wars fans is unjustified. Yes, the episode could serve to alienate fans of Rebels who haven’t seen The Clone Wars. The re-appearance of battle droids, a super tactical droid, Captain Rex, droidekas and the citation of ‘The Clone War’ may not be seen as majorly significant or compelling to fans who haven’t watched George Lucas’ old animated series. 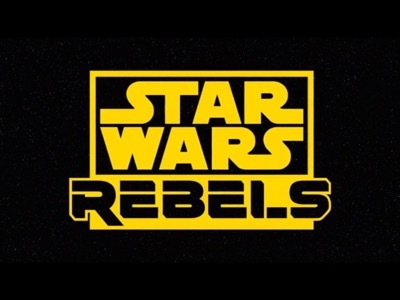 For instance, the change in design to the outro logo from ‘Rebels’ to ‘Clone Wars’ generated Goosebumps for some people. Personally however, I think that the episode works on its own. It works as a stand-alone Rebels episode. Does one really need to comprehend what happened in The Clone Wars TV show to grasp the meaning of the episode? To understand why the clones and droids dislike each other? To decipher why the clones and droids came together to fight against the empire? may help to have watched the Prequels, or the Clone Wars, to contextualise these battles but I feel exposition from the characters was enough to grasp the meaning of events of the episode itself. Ezra doesn’t understand the war and scorns at the alleged ‘threat’ of battle droids. Rex and Kanan endured the war, their perspectives of the conflict are very different from Ezra. They have seen it, they have fought in it and they have seen comrades die in it. In a way, these characters’ act as conduits for audience members. Ezra, I would argue, is a personification of an audience member who has never experienced or watched the Clone Wars. Ezra was born on Empire Day – the day in which the ‘empire’ was officially recognised by the Galactic Emperor, Palpatine, following the end to the Clone War. When Rex chastises Ezra about the fact that Ezra perceives the last battle “as a game”, it is metaphorically comparable to Clone Wars fans looking down on Rebels watchers, who haven’t seen the Clone Wars and dare to say that Rebels is better than Clone Wars. The point of this piece is not to mercilessly attack supporters of either Clone Wars or Rebels. Despite some similarities between the two shows it is important to note that they are also very different. The tone of the Clone Wars was naturally darker because of the fact that the show was set in ‘war-time’. To understand the gritty side of the war, you have to see it presented to you on screen in a visualised format. In addition, the storylines of the Clone Wars focused heavily on the war in its entirety, rather than just follow a set of five or six characters, like in Rebels. The storylines in Clone Wars were vast and diverse. One week there would be a showdown between Count Dooku and the Jedi, the next week you could be watching an episode about trade routes or droids. It was unpredictable, which was both a negative and positive point about the show. 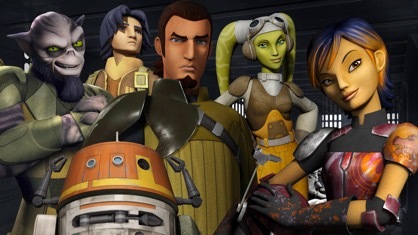 Rebels follows a far more linear trajectory, focuses on a smaller set of characters and attempts to advance their storyline. Of course the limits of this are that their storylines can dry up and become disinteresting to an audience if there is a lack of depth to a character. Notwithstanding this, Rebels is on its third season. When Clone Wars hit its prime, it did so in season three. Up to that point many fans were luke-warm about the show. Not until the show hit the second half of season three did people really buy into what George Lucas was doing. Who is to say that in the future we won’t look back at Rebels and reminisce and become nostalgic over the show once it reaches its conclusion? Will we hear the phrase “yeah, but it wasn’t half as good as Star Wars Rebels” in the not too distant future? 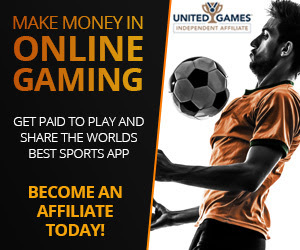 Don’t be shocked if we do. They need to finish Clone Wars period. Run them on netflix during off times of the new series, no reason they can't do both. Its obvious people are invested and are thoroughly entertained by these characters and the stories they developed in. I realize we are getting most of their stories in other formats, but justice for this series must be done, to many passionate fans not to. Finish all the clone war scripts, let the show finish, hell i would even add a few new episodes in light of the new stuff they must have thought up of by now, flesh out 3 more full seasons of Clone Wars and air them on Netflix. Make a deal with Netflix so they get exclusive rights to the new material for 6 months, then disney XD can share the episodes after that. After netflix, even give the the next 6 to cartoon network if there are any legal disputes, make it happen!